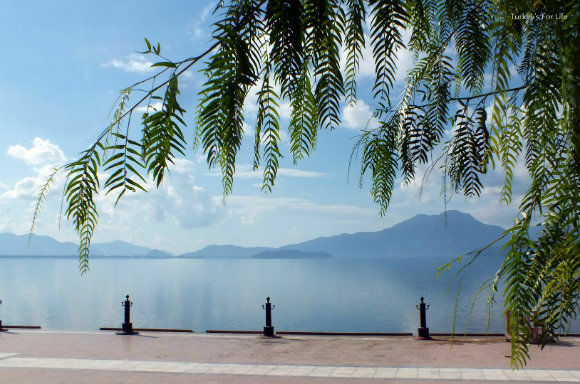 In a previous article, we wrote about another day trip from Fethiye; Sarıgerme Beach. Well, if you’re anything like us and you start to feel a bit restless once you’ve finished admiring the beach scenery, you need somewhere to move on to. Sarıgerme is part of Ortaca and just a tad further along the D400 from Ortaca is the lakeside town of Köyceğiz. The only time we’ve really mentioned Köyceğiz in the past on this blog is when we wrote about all the great little D400 roadside stalls which are brimming with citrus fruits – they’ll be brimming again over the winter months as citrus season bursts forth. Come December, all those citrus fruits will be on various Fethiye market food stalls, filling the air with a sweet scent. But there’s also something a bit cosy and comforting about going for a long winter drive and stopping off along the road to stock up on a ridiculous-sized mound of seasonal tangerines to eat en route. Or is that just us? Anyway, back to our tale and let’s get back to Köyceğiz itself. Because my dad wanted to see Sarıgerme, and because we knew that would take us all of 15 minutes, we wanted to move on to somewhere else. We’d already taken him to Dalyan a couple of times and we hadn’t been to Köyceğiz for a good 8 or 9 years. We’d heard the kordon (promenade) had had a bit of a facelift so now it seemed a good idea to go onwards to Köyceğiz to see what’s going on there these days. A more recent return and Köyceğiz was looking even more smart. 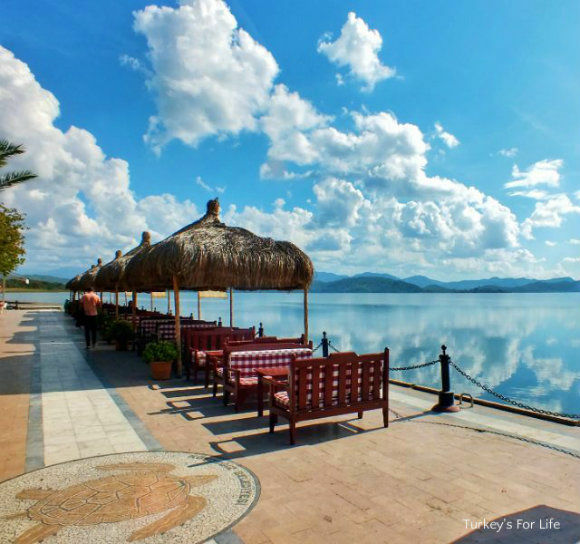 We were there for a relaxing autumn brunch before we took part in the Dalyan Caretta Run later that afternoon. Well, we can think of worse ways to while away a few hours before exerting ourselves. Köyceğiz is a pretty village and very low key. Well, we’re on the shores of Lake Köyceğiz here rather than the sea, so maybe that’s the reason it is so low key. This whole area – the lake, the village, and the surroundings (including Beyobası and Yuvarlakçay, through the Dalyan Delta to its exit into the sea at Iztuzu Beach) – are all part of the Köyceğiz-Dalyan Special Environmental Protection Area. This is the territory of panoramic views, wetlands, nesting areas and natural habitat for the loggerhead turtle (caretta caretta). Quite a thing is made of Köyceğiz honey in the village centre, too. Of course, there are lots of people who work really hard to make sure this protection remains intact – nothing remains set in stone in Turkey for too long. Those who know this area will be familiar with ‘Kaptan June’ (June Haimoff MBE) – this lady is a living legend. More good news for the protection of the future of Köyceğiz came in March 2019 when the town became Turkey’s 16th Cittaslow area. Cittaslow is all about the slower pace of life where living is good. We’re all about slow travel and the slower way of life. Other Cittaslow districts in Turkey that we have visited are nearby Akyaka, the lake town of Eğirdir and Ahlat on the shores of Lake Van in the East of Turkey. So that’s the sort of territory we’re in when we’re ambling around Köyceğiz. Stroll along the kordon (promenade) and eye the menus of the various lakeside restaurants and cafes. While we were with my dad, he’d spotted a poster advertising çiğ börek and stopped, looking intrigued. We told him about the pastry and the thin layer of minced meat inside – and that it would probably give him heartburn. We’re speaking from experience, here. We’re glad he did just so we could sample some to see how it would compare to the Eskişehir çiğ börek we had. (Eskişehir is famous for çiğ börek.) When you order a mass-produced version it’s never going to be as good as the homemade real thing, is it, but it wasn’t bad. And that’s what you do in Köyceğiz if you’re just visiting for the day. You have a little amble around the village, and you sit at the lakeside cafes, and then you amble along the kordon. If you want to make Köyceğiz your base, there’s a handful of small hotels / pensions. 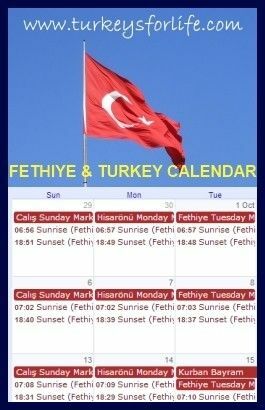 There are loads of nearby places to explore, there’s trekking, flora, fauna, birdwatching, fruit orchards, boat trips on the lake and along the Dalyan delta are available in summer and market day is Monday. The market and boat trips are about as rock ‘n’ roll as Köyceğiz gets – and it’s all the better for it. We need these places – these places where we can just visit, kick back, enjoy the natural surroundings. 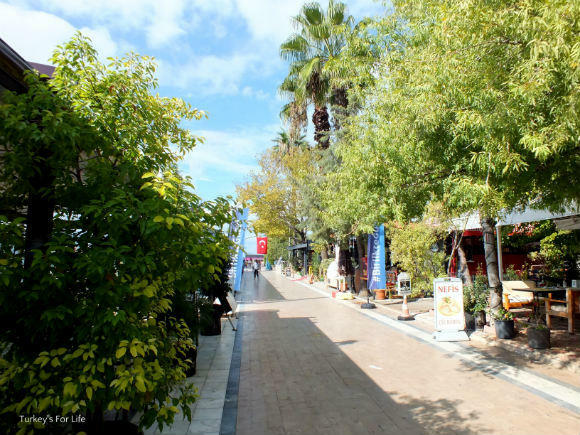 And, if you’re not into disappearing off up hillside paths, the centre of Köyceğiz itself – flat, compact, pretty – makes for a very pleasant day trip from Fethiye. Köyceğiz is easy to reach. About an hour’s drive from Fethiye, west along the D400. Just take a left when you see the sign for Köyceğiz. 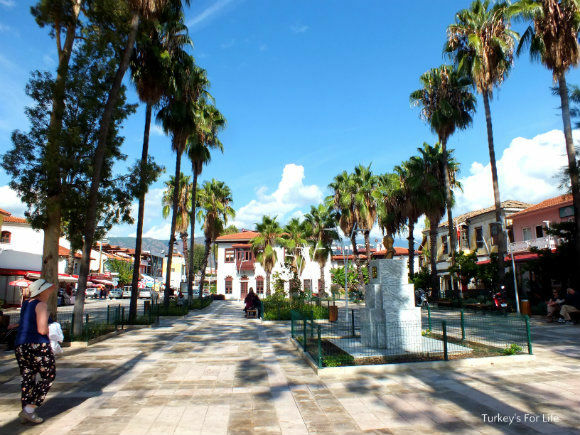 You can get from Fethiye Otogar to Köyceğiz by bus. Look for the Muğla Büyükşehir dolmuş stand. Allow around 90 minutes (maximum) to get to Köyceğiz from Fethiye. Köyceğiz market day is Monday. If you’re in Dalyan in summer, you can sail to the market by boat from Dalyan. . . always like Köyceğiz – genteel comes to mind! I’m glad this place hasn’t changed. Love the vibe of this place from your photos. Wish we were there to take the drive in person.